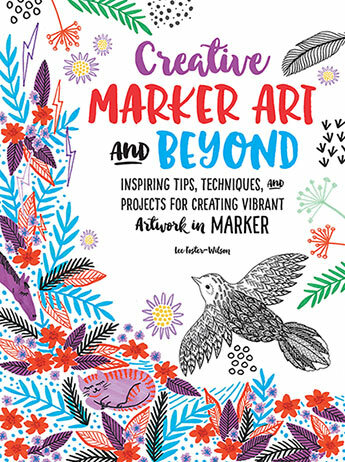 Whether you love to draw snoozing cats, inquisitive horses, watchful birds, patterned landscapes, or stunning sunsets, there’s something for everyone in Creative Marker Art & Beyond. Uncap your markers and let the inspiration flow! This latest book is loaded with ideas and projects for drawing and making colourful art with this childhood classic. We have ensured that anyone can pick up our innovative and fun lessons. Are you a doodler? Colouring-book graduate? Fine artist? No matter your skill level, you’re sure to love our route through the world of drawing with markers. This great guide kicks off with basic tools, materials, techniques, and colour pointers. From there, you’ll jump into creative prompts, easy exercises, and step-by-step projects. Creative Marker Art & Beyond will have you trying a new medium and drawing with markers in no time. We also include helpful advice for successfully composing drawings, building and layering colours, shading, and adding pen, not to mention giftable artwork done on a variety of fun, accessible surfaces. Dive into the awesome and dynamic medium that is the marker! 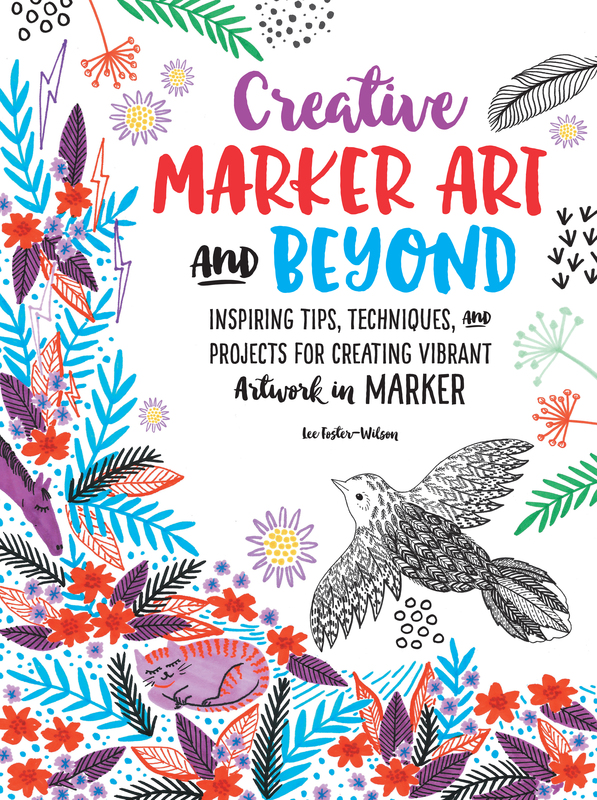 Create beautiful nature scenes, patterns, flowers, colourful trees, animals, and more with Creative Marker Art & Beyond. Lee May Foster-Wilson is an artist and a designer in Cornwall, England. She worked as a graphic designer before becoming a full-time artist with her own business called Bonbi Forest.